Southside Theatre Guild is excited to present a special event - Nunsense by Dan Goggin. As a special event, Nunsense is NOT a part of our regular season of shows and is not included in your season ticket. ** Please note the showtimes above, which are different than our usual showtimes. Winner of the Outer Critics' Circle awards for the best off Broadway musical and for the best book and best music and seen at London's Fortune Theatre in 1987. 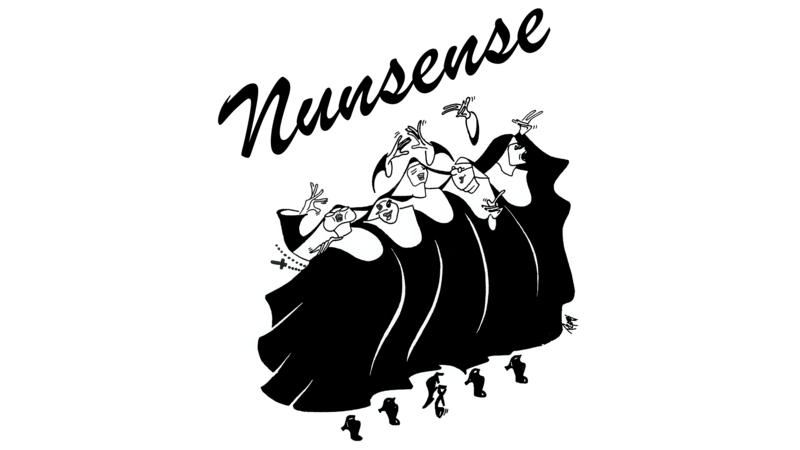 Nunsense is a hilarious talent show staged by five survivors at the Little Sisters of Hoboken nunnery, the rest of the sisterhood having succumbed to botulism after eating vichyssoise prepared by Sister Julia, Child of God. The remaining "Little Hobos" parade their talents at a variety show staged to raise funds so that the last four of the dearly departed can be buried. The score pulses with merriment and an unabashed desire to make you laugh, with songs and spontaneous comic interlude... Starring Katie Brown, Fracena Byrd, LouAnne Norman, Patty Richardson, and Gloria Wright.